First PREMIER Bank credit cards are available in many different varieties. The bank is one of the nation’s top credit card banks and as such has cards for everyone. They are also the number one issuer of credit cards to people with bad credit or no credit. Many of the First PREMIER bank credit card products are geared towards those who need to rebuild their credit rating. They boast one of the lowest formal complaint rates in the credit card industry as well, with a fraction of a percentage of their 3.5 million customers having ever registered a complaint. With products available for everyone, there is good reason why they are one of the top banks in the credit card industry. For those with pristine credit the First PREMIER Bank credit cards may not be for you. For those needing a little extra help the First PREMIER Bank credit cards can be a good short term solution but you have to be aware of what you are getting into. For those who have had some minor credit issues due to unforeseen circumstances your credit may be damaged but not irreparable. You may have some difficulty getting credit but may have the ability and desire to pay off your account every month on time. Perhaps you lost your job and were without work for a few months before finding a new one. Perhaps you suffered an illness or accident in your family putting a temporary financial strain on the budget. Whatever the reason, your credit was damaged but damaged temporarily. First PREMIER Bank credit cards were designed to provide credit solutions to people who are still credit worthy but who may have some problems finding traditional sources of credit. The PREMIER Bank credit cards are designed as an interim solution to allow you credit and rebuild your credit rating. But, with the additional risk based on your lower credit score comes additional fees. For those who are in a more permanent state of financial crisis the First PREMIER cards may not be for you. But for those who have poor credit you can expect to pay almost 60% annual percentage rate. This amount can put you even more in debt if you are unable to pay your card in full each month. For those who intend to only use it a short time, it can be useful but for those already in a serious difficulty the incredibly high interest rate may hurt more than help. First PREMIER specialize primarily in personal credit cards with an emphasis on individuals who need some credit assistance. For those people who still have decent credit though not perfect, this may be a good interim solution. But what you may not be aware of is that First PREMIER offer corporate credit cards. For businesses, the First PREMIER Bank credit cards are the ideal way to help manage money and give you the freedom to purchase your business needs. First PREMIER use Mastercard for a worldwide recognized name accepted virtually everywhere. You can choose from two different versions of the card. You can choose First PREMIER credit cards with one card number allowing for multiple users. Or, you can choose one account with various credit card numbers so only one authorized user is allowed per card. One single card allowing multiple users can be a convenient way to make on the spot purchases. However, multiple credit cards allow you to better track each individual’s spending practices to keep better accounting. Whatever is most convenient for you is best. First PREMIER cards for corporate use give a variety of benefits. You can set spending limits for different people, giving you full control over how the card is used. 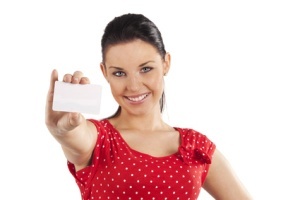 You can have a card that is used for a singular purpose to better contain and track purchases. It makes buying more convenient, streamlines the process for less time and money per transaction and helps prevent fraud in the business. For those who have a temporary problem and are in need of a non secured credit card the First PREMIER credit cards may be the ideal solution. They will allow you to have some credit without any collateral. However, the credit cards are not designed as a long term solution. You will have a small credit line and high interest rate along with a variety of other fees due to your lack of credit. For those with good credit there are better solutions available. For those with poor credit and a possibility of staying in financial crisis for some time, the credit cards may actually hurt your ability to get out of debt and improve your credit score. At that point a secure card may be the better solution. You will have the opportunity to build your credit and you will pay similar fees as the credit cards in a deposit that will eventually be refunded. But for those with short term issues, this is a great interim solution.